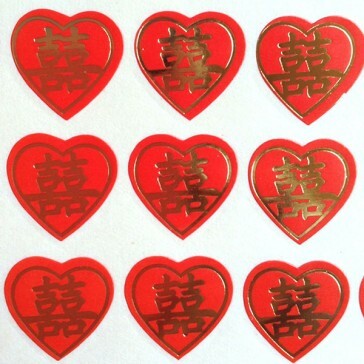 1 sheet or 150 pieces of double happiness stickers for each order. 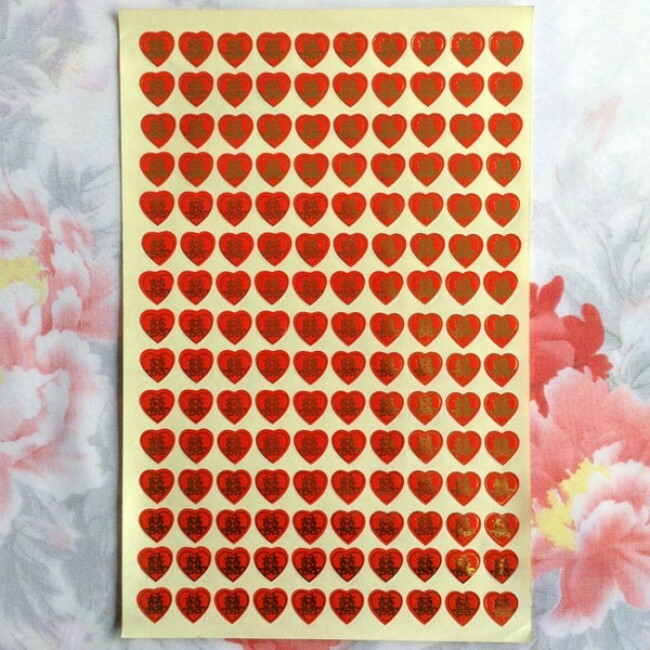 This is for one sheet of wedding stickers containing 150 double happiness stickers. 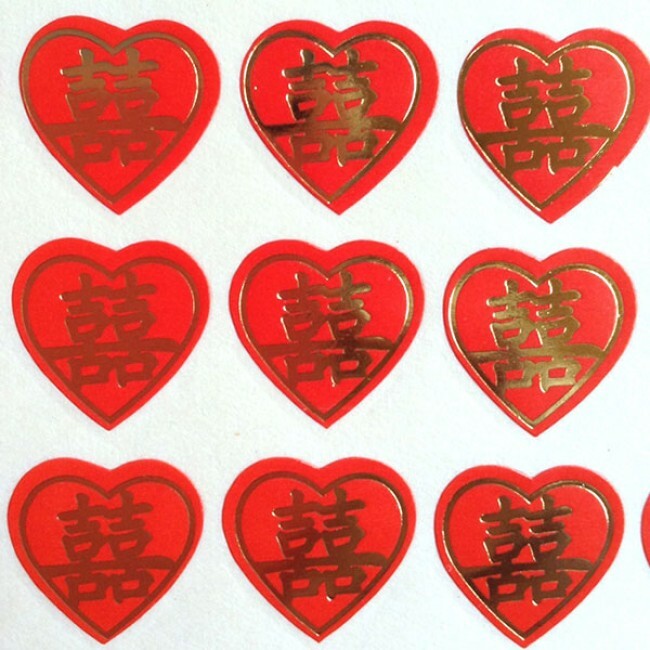 Heart-shaped with red background and golden Chinese symbol for "double happiness" , which is literally two Chinese symbols for "happiness" joined together. "Double Happiness" is deemed as the Chinese symbol for marriage. You can use them on any wedding gifts or favors. Sticker size: 5/8" X 5/8" (1.6cm X 1.6cm).